Look Great -- Run Greats --Everything WorksIncludesBrush hogCultivator2 Pt PlowDiscDragChainsLevelerPlease only serious inquiriesText Message will not be responded to. 1949 FORD 9N TRACTOR,NEEDS BATTERY, INTAKE MANIFOLD CARB CLEANING. $900.00 BO NO TEXTING,CALLS ONLY show contact infoHOPEBLAIRSTOWN,N.J. 1941 FORD 9N $950.00 new points, condenser and plugs. 12 volt system, with extra wheels and tires.FORD YT-16 COMPLETE WITH MOWER DECK, DOES NOT RUN MAKE OFFER. I HAVE FOR SALE A FORD 9N TRACTOR, RAN GOOD EVERYTHING WORKED AS IT SHOULD, NOW WILL NO START, NEW CARBURETOR, GOOD TIRES. 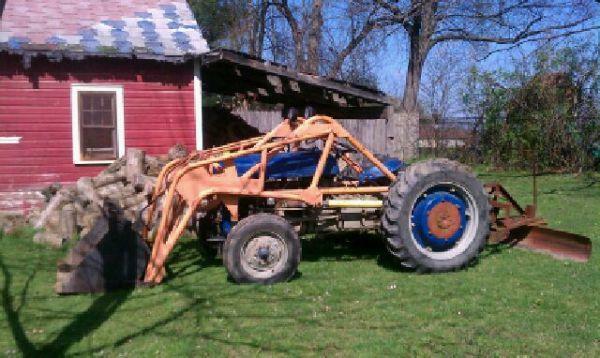 OWNED TRACTOR FOR MANY YEARS. IM ASKING 700 OBO. QUESTIONS PLEASE CALL show contact info THANKS.